Ask Po Po #8: What should a 9 year old Girl do to become a Better Basketball Player? 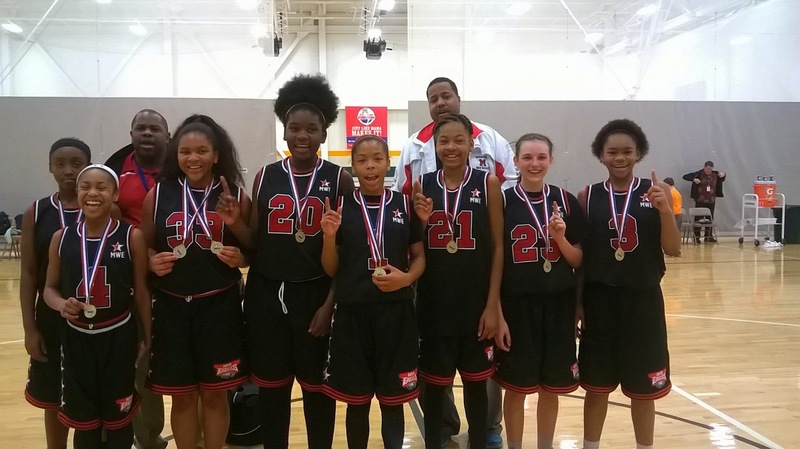 Congratulations to the Lady Silver Foxes out of Greenfield, TN on their 2nd Place finish earlier this month. Team members are #2 Yasmine Panky (Humboldt) #25 Madison Johnson (Milan) #32 Sadie Williams (White Station) #34 Teiona Wedley (Humboldt) #11 Tristan Trevathan (Dresden) #00 Chloe Moore (Greenfield) and #33 Alexis Anderson (Gleason). Congrats on your championship Ladies! 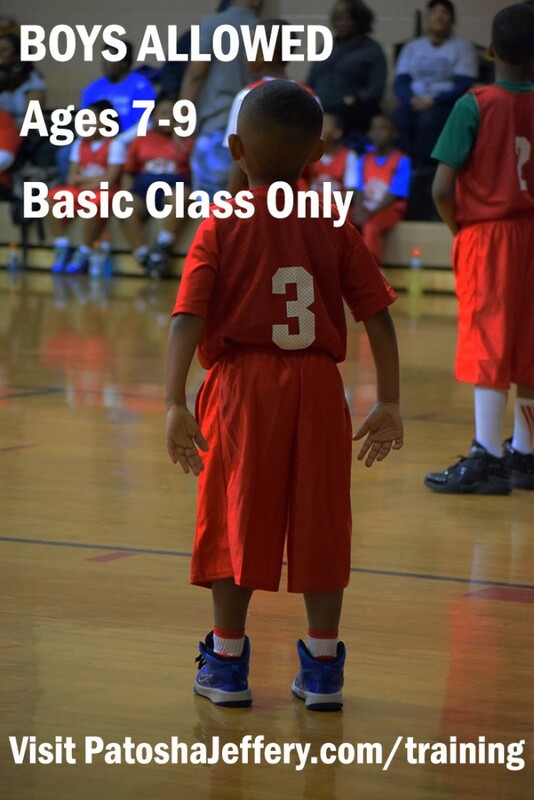 Do You Want to Be the Best in Girls Basketball? Not one of the best. I’m talking about ‘The One’. Memphis War Eagles 6th grade squad traveled to Jonesboro, AR to participate in the " Bring Your A Game" tournament hosted by Arkansas Raiders. 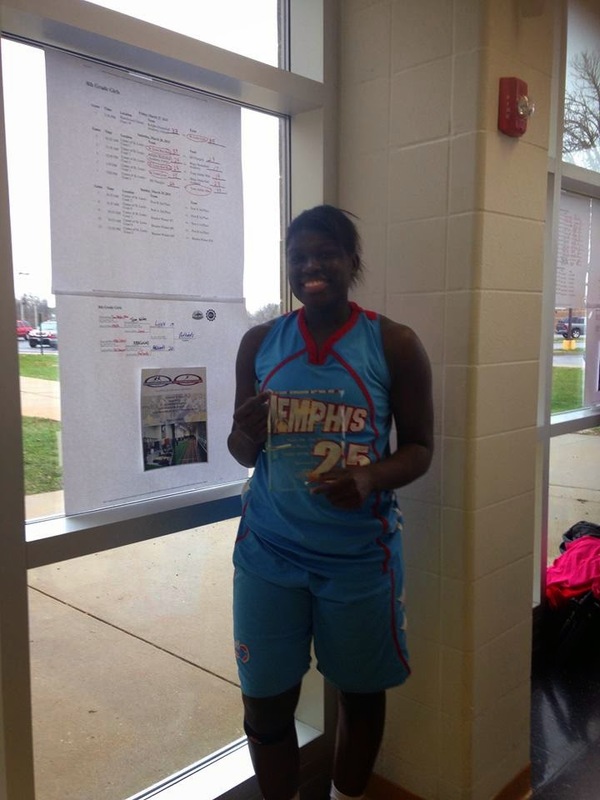 Congrats to Memphis Dream and Tamia Jones (White Station) on being named MVP. The Memphis area will be well-represented at the Basketball Coaches Association of Tennessee/Tennessee Athletic Coaches Association all-star games Saturday at Riverdale High in Murfreesboro. Kaylan Pugh of St. Mary's and Oreonna Brown of Ridgeway will play for the West girls squad, which is coached by Ridgeway's Rhonda Kendall. Southwind's Paul Edwards will coach the West boys team, which features Khalil Spencer (Ridgeway), Brett Warner (Collierville), Julian Daughtry (Millington) and Marlon Hunter (Houston). The girls game begins at 2 p.m., followed by the boys at 4. Alexyse Thomas scored 17 points and grabbed nine rebounds to lead Horn Lake past rival Olive Branch 52-42 to win the Mississippi Class 6A girls state championship on Saturday night. The Lady Eagles (29-4) claimed their second straight Class 6A championship, which is also their second in school history. 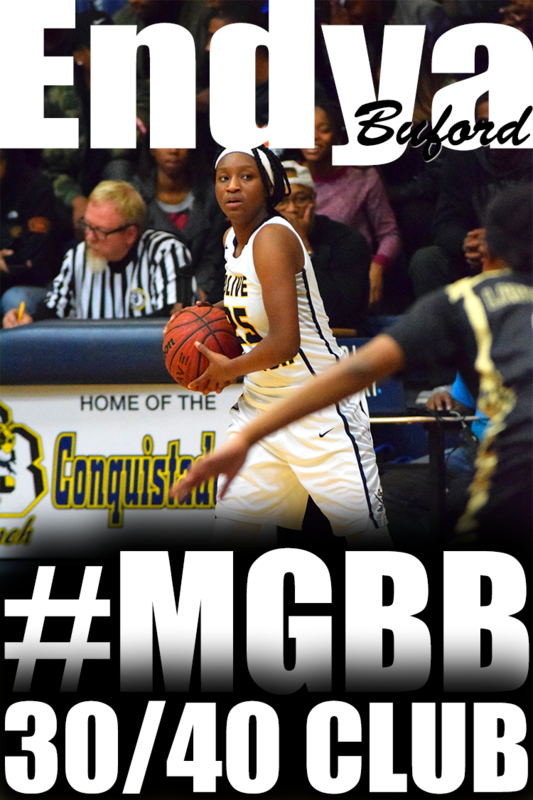 Olive Branch had beaten Horn Lake in their three meetings in the regular season and district tournament. Horn Lake trailed 22-19 at the half, but outscored the Lady Quistors 16-8 in the third quarter to take control. Rodneyshia Martin scored 13 points for Horn Lake. Tae'lour Richardson added 11. 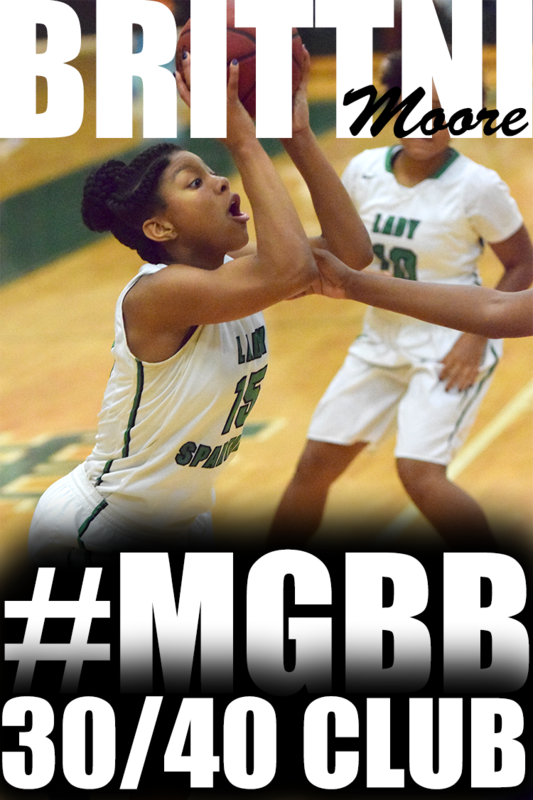 Myah Taylor and Mahogany Vaught led Olive Branch (32-2) with 12 points each. 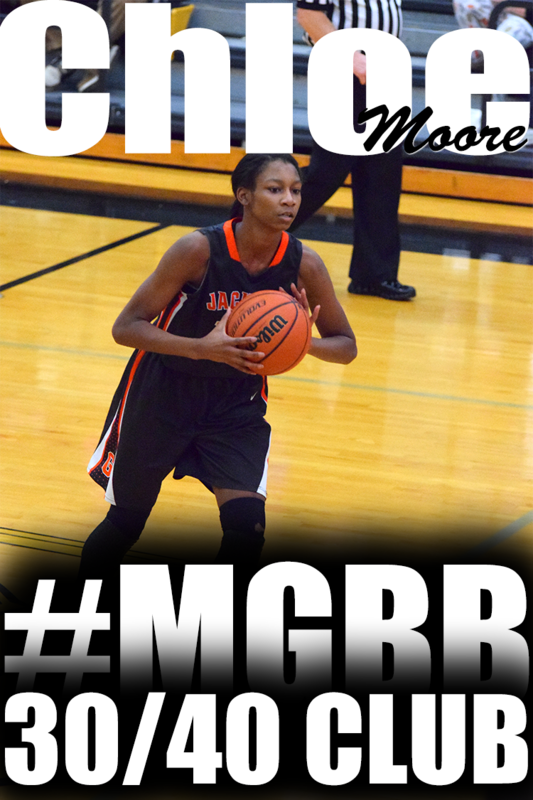 Myah LeFlore scored 10. 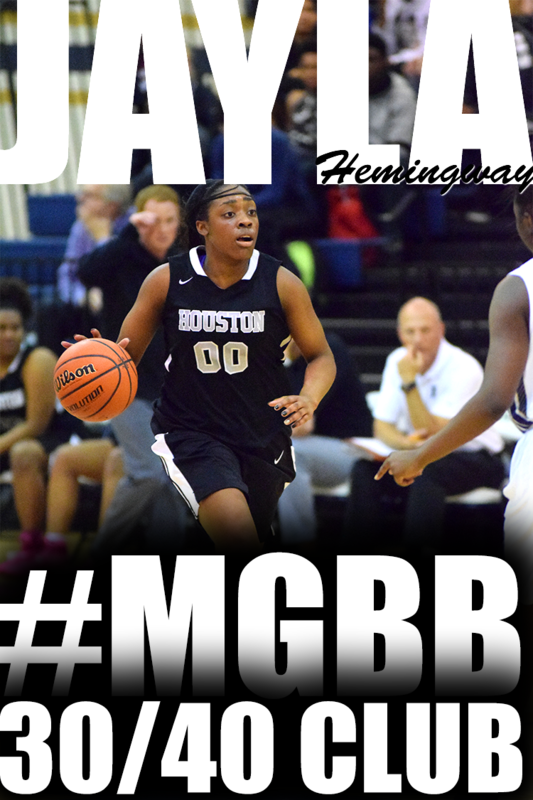 Horn Lake (52) — Brayanta Conley 6, Tae’lour Richardson 11, Alondrea Rush 5, Alexyse Thomas 17, Rodneyshia Martin 13. Olive Branch (42) — Quienteal Battle 4, Katie Blackmon 2, Myah LeFlore 10, Myah Taylor 12, Mahogany Vaught 12, LaDaijha Watson 2. Records — Horn Lake 29-4, Olive Branch 32-2. FIRST TEAM: Nina Davis, Baylor, F, 5-11, so. Olive Branch's Mahogany Vaught (4) drives against Harrison Central's Chyna Allen (5) during Wednesday’s semifinal. Olive Branch coach Blake Jones waited until his team turned the corner towards their locker room to let out a celebratory yell. "One more," Jones told the Lady Quistors. For a second straight year, Olive Branch defeated Harrison Central on Wednesday night in the MHSAA Class 6A girls semifinals, downing the Red Rebelettes, 81-72, en route to a championship berth. Olive Branch (32-1) hasn't lost to a team from Mississippi this season. With their entire starting five back from last year and the No. 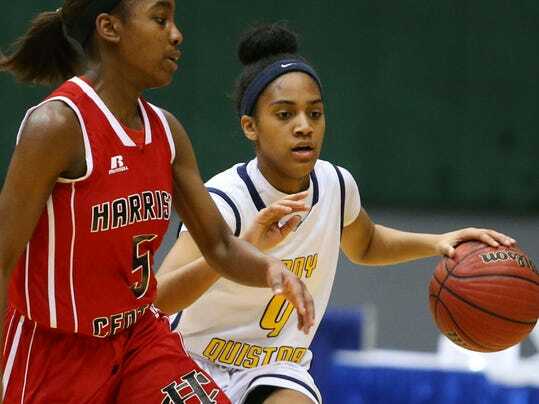 1 ranking in the state, the Lady Quistors have been a favorite to make a repeat appearance in Saturday's title game, where they will face divisional rival Horn Lake. Harrison Central made Olive Branch's path to the championship difficult, and that started with disrupting sophomore guard Myah Taylor. The Dandy Dozen selection struggled from the field early and only scored three points in the first half. With 3:14 remaining in the third quarter, Taylor was sent to the bench after recording her fourth foul. Up 58-53 heading into the final period of play, Jones pulled Taylor aside while an assistant coach drew up a game plan for the rest of the team. Last year, Taylor watched Olive Branch win its semifinal game from the bench after sustaining an ankle injury that sidelined her from the championship round. 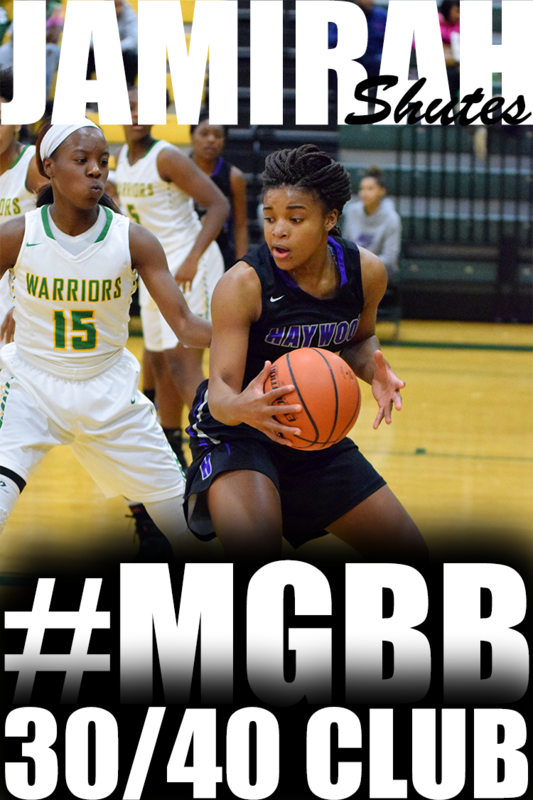 "I said 'Myah, you have one quarter that stands in your way between now and going to another state championship. You didn't get to play in that game last year. What can we do to get through this quarter and get you to that final game?' " Jones said. "She said 'I'm going to take over, coach,' and sure enough that's what she and Mahogany did together." Taylor finished 11 points, five steals and three rebounds. Mahogany Vaught, a freshman who started for the Lady Quistors as an eighth-grader, had a game-high 24 points, including two 3-pointers in the third quarter: one to tie the game at 48-48 and a go-ahead bucket to give Olive Branch a 56-53 lead. 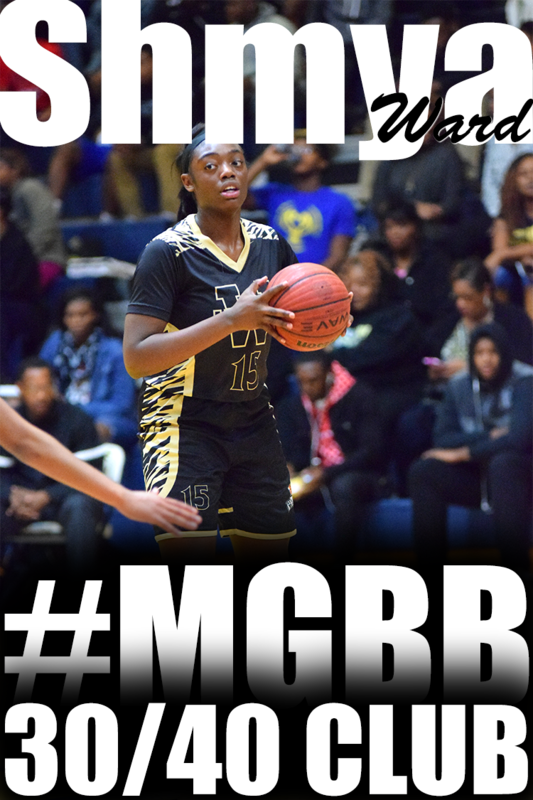 Despite finding its rhythm in the second half, containing Dandy Dozen guard Jazzmun Holmes and Philmecia Drakeford, who hit four 3-pointers, was difficult for Olive Branch. Jones was ready to implement a 1-3-1 zone to contain the guards from the field. Instead, he relied on what's been working for his team all season. "We wanted to face guard (Holmes) and once she gave it up, we wanted to put pressure on other players," Jones said. "We knew what she could do. After the half, I told my team it's do or die." Holmes and Drakeford each recorded 20 points. The Red Rebelettes had a chance to tie the game in the fourth quarter after Adyn Strickland hit one of two free throws to cut Olive Branch's lead to 58-56, but an 11-2 run by the Lady Quistors wore down Harrison Central (26-8). "We played hard, they battled. I felt that we forced a lot of turnovers but didn't capitalize," Harrison Central coach Nancy Ladner said. Olive Branch will face a Horn Lake team it has already beaten three times this season and is looking to defend its 6A crown. "The whole body of work last year was a foundation for what this year could be," Jones said. "To get mentally prepared for that game is to not change what we've been doing." The freshman guard scored a game-high 24 points, including two 3-pointers in the third quarter, and six rebounds for the Lady Quistors. Top-ranked Olive Branch hasn't surrended a loss to a Mississippi program this season. 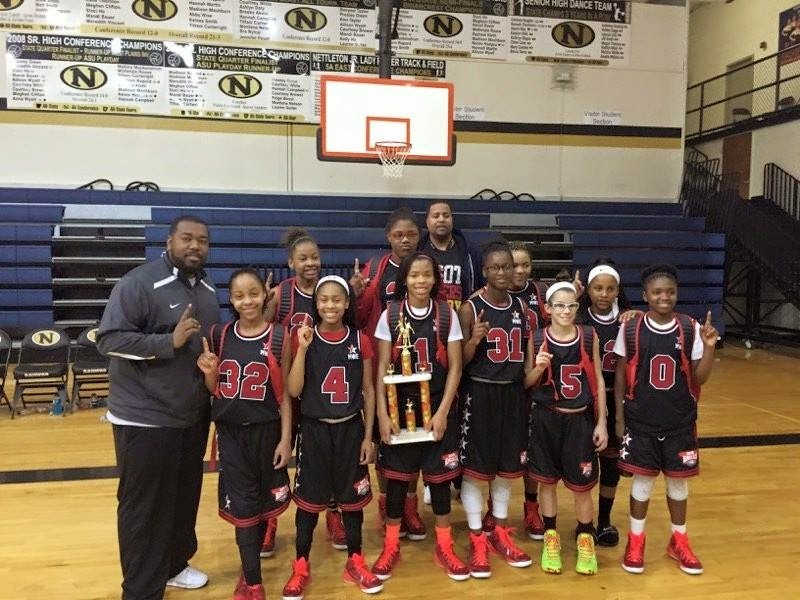 The Lady Quistors sole defeat came at the hand of Ridgeway (Tenn.) in December. The 5-foot-7 sophomore point guard led the Lady Conquistadors to a 31-1 record and a berth in the Class 6A semifinals, scheduled for March 11. Taylor averaged 18.2 points and 8.3 assists while shooting 56.7 percent from inside the arc through 32 games. A 2015 Clarion Ledger Dandy Dozen Selection, she has anchored Olive Branch to a No. 20 national ranking by USA TODAY High School Sports. She posted regular-season averages of 4.6 steals and three rebounds per game. The game seemed like one on the line when Tae’lour Richardson put up Horn Lake’s final shot. With less than 20 seconds remaining in the MHSAA Class 6A girls quarterfinals, the junior guard grabbed an offensive rebound and threw up a shot that fell in. The Horn Lake bench jumped and screamed in celebration. 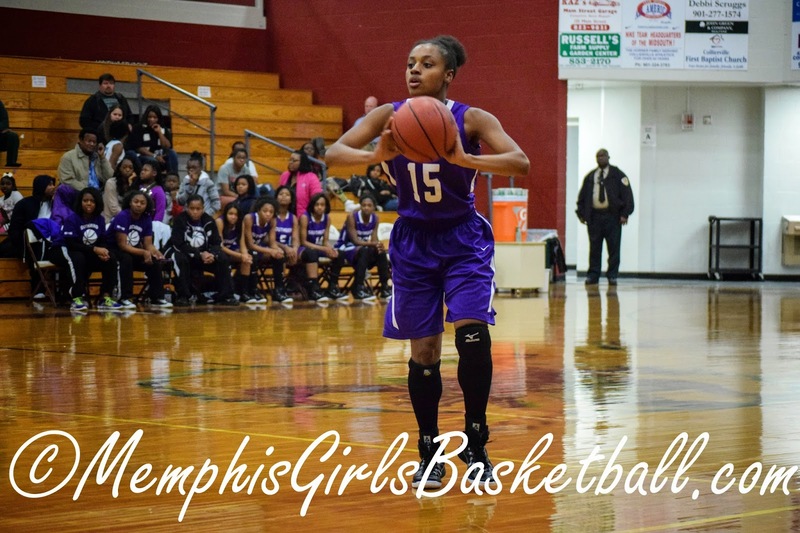 But the game had already been won long before Richardson’s basket put the finishing touches in the Lady Eagles’ 57-21 victory over Terry Saturday at the Mississippi Coliseum. The Lady Eagles, last year’s 6A champion, were determined to prove they can repeat. Jumping out on a 9-0 run in the first quarter, Horn Lake (27-4) never trailed despite shooting 16-of-45 from the field throughout. Repeat trips up and down the floor on long runs wore down Terry (24-8) and gave the Lady Eagles a 10-point halftime lead. Horn Lake then outscored Terry 32-6 in the second half. Richardson tabbed a double-double with 10 points and 10 rebounds, while Rodneyshia Martin added 15 for the Lady Eagles. “It was a matter of experience — them being here before — versus inexperience,” Terry coach Tiffany Porter said. Sophomore Dandy Dozen guard Nyah Tate was 1-of-8 on foul shots. As a team, Terry made 9-of-20 baskets from the free-throw line and shot 16 percent from the field. Not long ago, Horn Lake shared the same identity as Terry: a young team looking for its shot in 6A. Now, the Lady Eagles look to go one step further when they face Starkville in Wednesday’s semifinals. The junior guard recorded a double-double with 10 points and 10 rebounds despite playing with four fouls. Of its 20 free throw attempts, Terry only made nine shots from the line and shot 16 percent from the field. Horn Lake senior forward Alexyse Thomas (right) is the Guaranty Bank and Trust Company Athlete of the Week. She is joined by Lady Eagles' head coach Janna Thompson. This week's Guaranty Bank and Trust Athlete of the Week already has a state championship ring on her finger and would certainly like to add another one on her hand before heading off to play Division I college basketball next year. 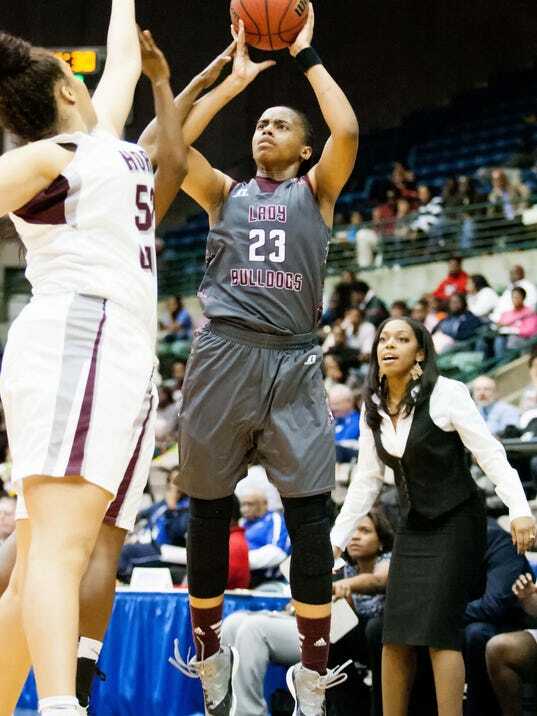 Alexyse Thomas of the defending MHSAA 6A state champion Horn Lake Lady Eagles and the 6-foot-2 inch center of which much of the offense revolves around, has come up with big games at important times in her team's march back to the Big House at Mississippi Coliseum. The latest of those big games came last Saturday, when the Eagles reached this year's state quarterfinal round with a 46-40 victory over the Lady Wave on Tupelo's home floor. Thomas was a force that could not be stopped for Horn Lake in the win, netting 19 points and grabbing 16 rebounds. Alexyse added 14 more points in a 52-31 first-round playoff victory over Greenville that set up last Saturday's matchup with Tupelo. Thomas feels her size and basketball savvy has served her well. "I've always been bigger than everybody else," Thomas said. "I've been playing since seventh grade. I also play volleyball and I played softball until 10th grade." Her coach, Janna Thompson, said Thomas is a great leader on the floor for the Lady Eagles. "Alexyse has a great basketball IQ," Thompson said. 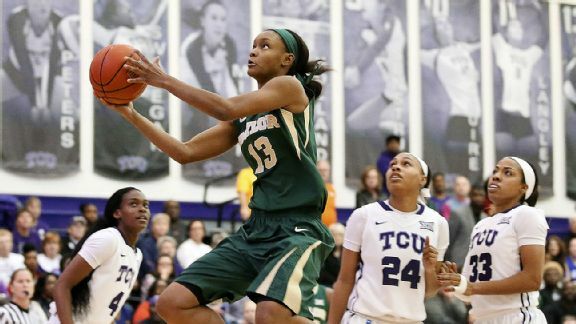 "She is a vocal leader on the floor and she knows what to do with the basketball." Thompson added Thomas has also put in some hard work to make her one of the top players to watch in Mississippi girls' basketball. "This year, Alexyse has been serious about elevating her game to the next level," Thompson said. "In big games this year she has really stepped up her game. She's been very consistent for us." Her basketball talent got the attention of a number of colleges, including Wright State, where she will play Division I ball next season for coach Mike Bradbury. The fifth-year coach at the Dayton, Ohio school recently won his 100th career coaching victory with the Raiders, as his team readied for postseason play in the Horizon League conference tournament. But the future is now for Thomas and the Lady Eagles as they open state tournament play tonight at 6 p.m. in Jackson against Terry, a team Thompson said has some height that Thomas will have to contend with. Thomas won't be using last year's state championship win over Olive Branch as a means of inspiration against the Bulldogs. She has a longer memory than just one year. "We're looking for redemption from two years ago when we were blown out by Forest Hill," Thomas said, referring to Horn Lake's 57-37 loss in the semifinals to the eventual state champs in 2013. Congratulations to the 6th and 7th Grade teams! The MHSAA state basketball tournament begins on March 2 and lasts through March 14. This year a quarterfinal round has been added, extending the number of games played over the next two weeks from 36 to 84. The boys quarterfinal games (24) will be played at the Lee E. Williams Athletics & Assembly Center on the campus of Jackson State from March 2-7. The girls quarterfinal games (24) will be played at the Mississippi Coliseum from March 3-7. Below are schedules for the quarterfinal, semifinal and championship rounds. Due to inclement winter weather, schedules are subject to change. The Craigmont girls basketball team did so many things right Friday at the Murphy Center. The Chiefs shot well (48.7 percent) and battled McMinn Central to a standstill on the boards (33 each). But turnovers did them in as they lost to the Chargerettes 57-48 in the quarterfinals of the BlueCross AA state tournament. Craigmont, which was making its second appearance at state and first since 2004, turned the ball over 29 times against ferocious McMinn Central pressure. "We turned it over 18 times in the first half and we only had 14 shots while they had 36," said Chiefs coach Tim Anderson. "We did what we wanted to do, but we gave them too many opportunities." Despite blazing away at 57 percent over the opening two quarters, the Chiefs (27-7) were trailing 29-24 because of the miscues. "I'll take most of the blame." said Chiefs standout Danielle Conley. "As a guard, it's my job to get the ball to the right people and know when to pass and when not to." 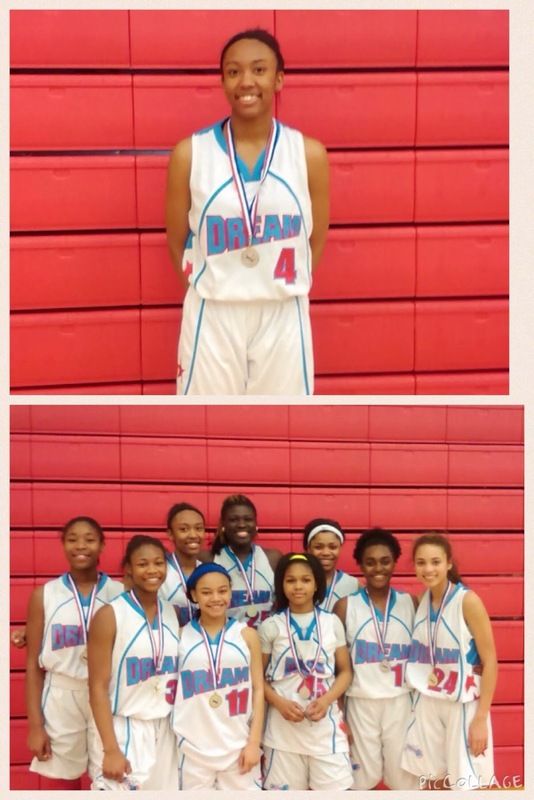 Added Daja Scurlock, "I know at least for me, I was nervous. We tried to get the nerves out, but then when it came down to the nitty-gritty, we didn't execute." The effort on defense was something Chargerettes coach Johnny Morgan has come to expect from his team, which will take on Grainger in a 7:30 p.m. semifinal today. "We play the same way all the time," he said. "If we're up 30 we don't think we're good, and if we're down 30 we don't give up. And we've played man-to-man for 37 years. "An old coach once told me that basketball is a game of runs. You just want to have the most runs or the last one." Craigmont went on a good run of its own, outscoring the Chargerettes 10-0 in the opening moments of the third quarter to take a 34-29 lead. "We knew we had a run in us," said Anderson. "We just wanted to be a little more aggressive and look for mismatches and try to beat them down the floor. But it may have taken something out of us." McMinn Central (29-5) closed to 38-37 at the end of the third, then went on an 11-1 run late in the fourth to finally finish Craigmont off. Jacobi Lynn scored 19 to lead the Chargerettes, with several buckets coming on and-one mix tape-style drives to the basket. Ally Coleman chipped in with 15 points and nine boards. Conley scored 10 of her 14 points in the first half to lead the Chiefs, and Scurlock had 13. Kiara Caswell finished with 11 points; Morgan Morris had a game-high 11 rebounds. All but Caswell from that group will be back next season; Craigmont returns nine of 11 players. "We'll be back next year," said Scurlock. "And we're going to make it farther." 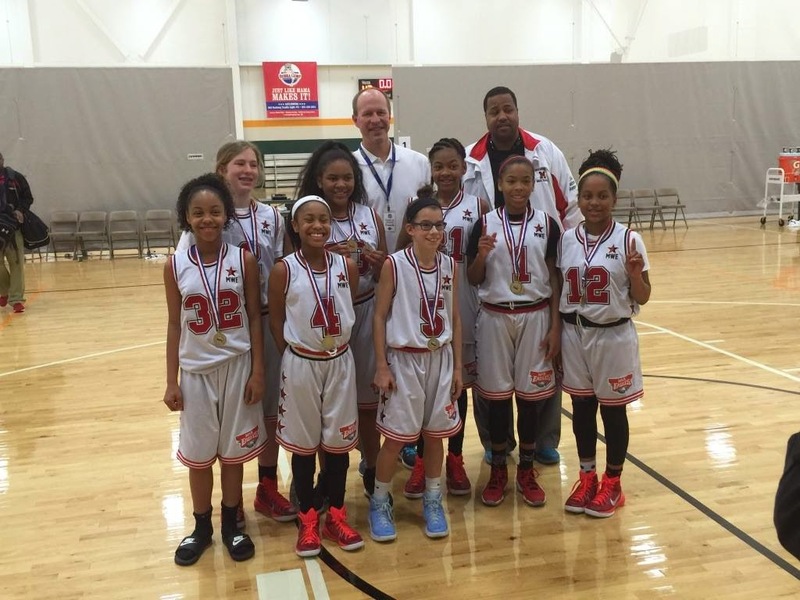 Craigmont (48) — Kiara Caswell 11, Danielle Conley 14, Keveana Fayne 4, Morgan Morris 6, Daja Scurlock 13. McMinn Central (57) — J. Lynn 19, J. Wright 3, E. Trentham 8, K. Myers 2, J. Truelove 10, A. Coleman 15. Records — Craigmont 27-7, McMinn Central 29-5. 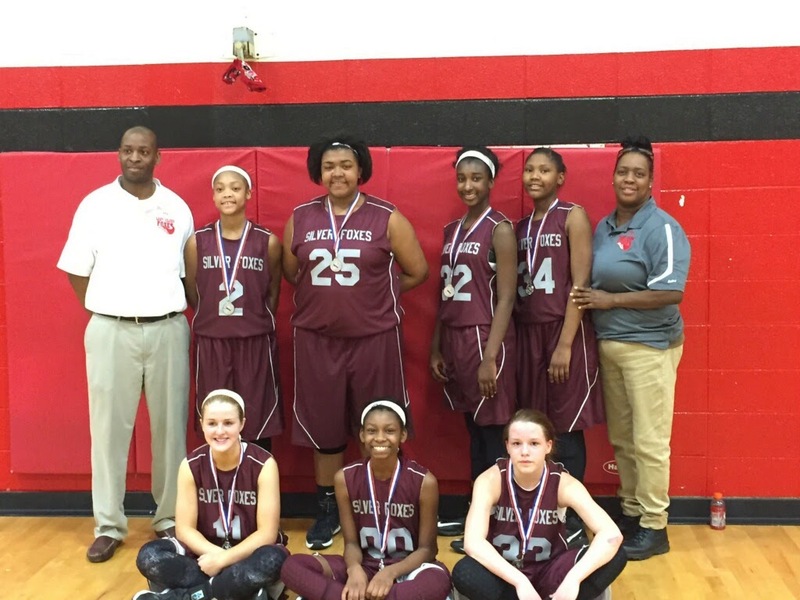 Arlington (31) — Raegyn Branch 16, Mirrakohl Johnson 8, Ashley Lee 2, Tori Sewell 5. Morristown West (44) — Williams 2, Craine 3, Shultz 12, McKinnish 6, Newsome 5, Brown 6, Harville 10. Records — Arlington 26-10, Morristown West 31-5. Oakland (59) — Eaglen 5, O’Neal 2, Wright 19, Gibson 19, Lawson 11, Patterson 3. Bartlett (31) — Bethany Davis 2, Jessica Jackson 15, Charity Savage 9, Nyla Smith 2, Dee Dee Williams 3. Records — Oakland 28-6, Bartlett 22-11. Arlington’s first trip to the BlueCross AAA girls state tournament ended Wednesday as Morristown West defeated the Tigers 44-31 at the Murphy Center. In a game where neither team played especially well, the Tigers behind by double-digits in the second quarter and were never able to really threaten much after that. Junior Raegyn Branch scored 16 to lead Arlington, which ends the year 26-10. Morristown West advances to the semis Friday at 11:30 a.m. against defending state champ and top-ranked Murfreesboro Blackman. 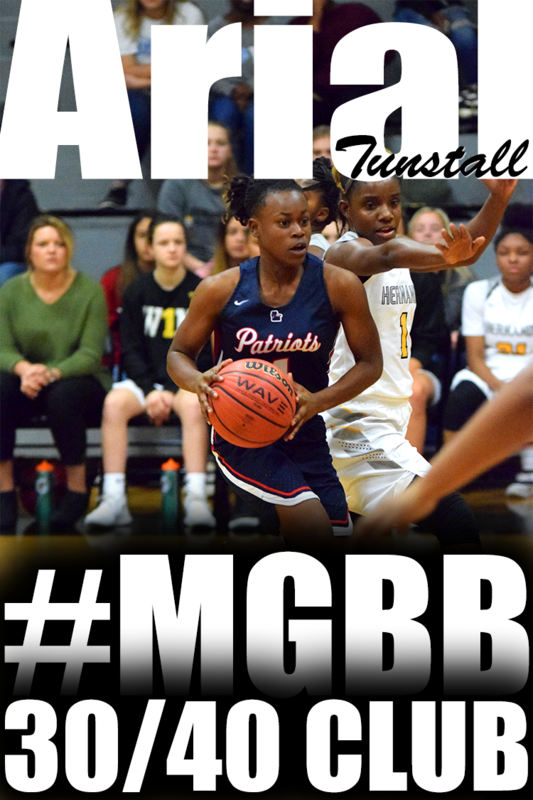 It's not hard to find an explanation for Murfreesboro Oakland's victory over Bartlett in the quarterfinals of the BlueCross AAA girls state basketball tournament Wednesday. Oakland's post tandem of Shelby Gibson and Abby Wright each scored 19 points to lead the Patriots to a 59-31 victory over the Panthers. Bartlett, which was making its first appearance at state since 2008, ends the year with a 22-11 mark. And it was undoubtedly one of the most frustrating losses of the year as the Panthers simply just couldn't match up with Gibson and Wright, a pair of skilled six-footers. Gibson, who went 8 of 8 from the floor, scored her team's first eight points. Oakland then moved Wright down on the low block as well, which eventually opened up the Patriots' outside game. Oakland ended the game shooting 59.5 percent from the floor (25 of 42). "I don't think we were prepared for that," said Panthers junior standout Charity Savage. "Usually we play teams that go hard on the inside or shoot (well) from the outside. We're not used to a team that does both." Added Panthers coach Lynn Whitfield, "When you have that balance, it's tough. 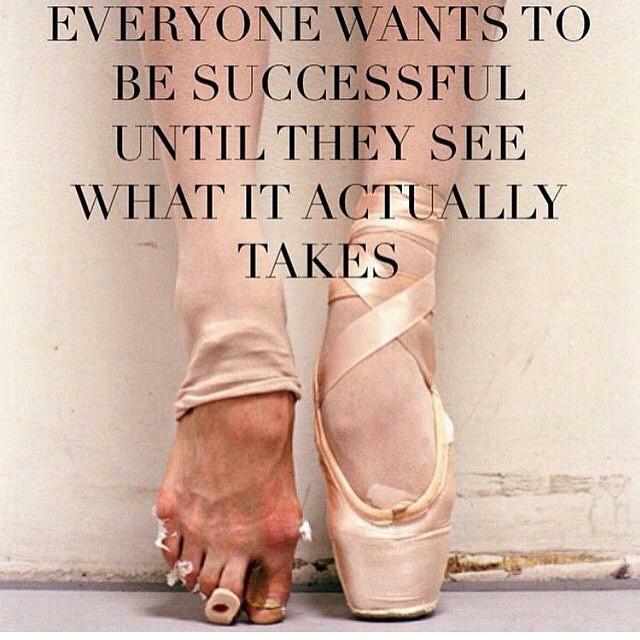 And we didn't see that balance from them on tape." 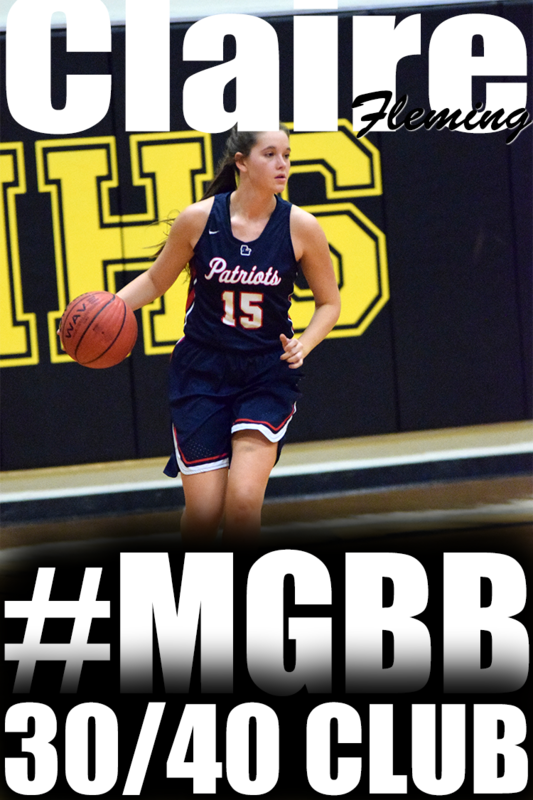 Patriots coach Jennifer Grandstaff could find little to fault with her team, which will take on Knoxville Bearden in the semifinals Friday at 10 a.m.
"I think we did a good job of taking care of the ball and executing on offense," she said. "We wanted to get the ball inside and Shelby is tough to guard." Bartlett also hurt its own cause with some poor shooting. The Panthers ended the game at 29.7 percent (11 of 37) and only managed 19 points over the final 24 minutes of the game after trailing just 14-12 at the end of the first quarter. Four of the five players who started for Bartlett Wednesday — including Jackson and Savage — will return next year. "I think we had a great season," said Jackson. "We beat a lot of big teams and accomplished a lot. It was a great experience." All TSSAA state basketball tournament games scheduled for today have been postponed due to extremely hazardous road conditions. Today’s schedule will resume tomorrow at 11:00 a.m. in order to allow extra time to for road conditions to improve in the morning. Friday’s scheduled semifinal games will be played on Saturday beginning at 1:30 p.m. due to Middle Tennessee State University’s women’s basketball game that is scheduled game at 10:00 a.m.
Saturday’s scheduled championship games will be played on Sunday. 12:30 pm – Class A Quarterfinal – Clarkrange v. Houston Co.
Arlington’s Ashley Lee helped lead the Tigers into the state tournament this week after defeating Ridgeway. Craigmont girls basketball coach Tim Anderson speaks for his counterparts from Arlington and Bartlett when he talks about his goal for this week’s BlueCross state tournament. “Now, we’re just after that gold ball,” he said. The Chiefs, the Tigers and the Panthers will represent Shelby County as the tournament gets underway Wednesday at the Murphy Center in Murfreesboro. Bartlett (21-10) opens against Murfreesboro Oakland Wednesday at 11:30 a.m. in a AAA quarterfinal with Arlington (26-9) following at 2:45 p.m. against Morristown West. Craigmont gets things going in AA Thursday at 2:15 p.m. against McMinn Central. Craigmont enters its first state tournament game in 10 years on a 15-game winning streak. Daja Scurlock, a 6-1 junior, is an imposing presence inside, while junior Danielle Conley and senior Kiara Caswell form a potent backcourt for Anderson’s 27-6 squad. Arlington too will be hoping to keep the momentum going. The Tigers advanced to their first state tournament is school history with a victory over nationally ranked Ridgeway on Monday. And that one came on the heels of a win over previously undefeated Dyer County in the Region 7 semis. All put of the method to coach Hunter Gremore’s scheduling madness. “We played just about everybody in the Dandy Dozen,” he said. “Ridgeway, Overton, Horn Lake, the home school (MHEA), White Station. We were 7-6 and then we beat Briarcrest then we went to Northpoint — which is a very tough place to play — and led all the way in that one. Tori Sewell and Raegyn Branch form a solid outside-inside combo, while senior Cheiyanne Norton is an underrated floor leader. One of the few teams Arlington lost to since the holidays is Bartlett, which will be playing in the state tournament for the first time since 2008. The two teams are 14-AAA rivals and each was delighted to hear about the other’s trip to state. Charity Savage — a 6-0 junior who is a double-double machine — is the star for the Panthers who, like Craigmont and Arlington, have grown as the season has progressed. Arlington standout Tori Sewell has a message for the rest of the girls basketball teams in the state. And the Tigers are bringing Bartlett and Craigmont with them. Three area teams advanced to the girls state tournament Monday night, led by Arlington’s 52-49 victory over a Ridgeway team that spent the entire season ranked first in The Commercial Appeal’s Dandy Dozen and also was ranked as high as fourth nationally. The Tigers — the champions of Region 7 — will be joined in the AAA tournament by Bartlett, which knocked off Region 8 winner Overton, 46-42. Craigmont will represent AA this week after a 69-55 victory over Crockett County. Sewell scored 19 points to lead the giant-killing Tigers, who will be playing in the state tournament for the first time in school history. Their win over Ridgeway follows a victory over previously undefeated Dyer County in the semifinals of last week’s Region 7 tournament. Arlington, which will take a 26-9 record into Wednesday’s 2:45 p.m. game against Morristown West at MTSU’s Murphy Center, had an outstanding defensive game while keeping the tempo right where they wanted it. Ridgeway — which was led by 20 points from Brandi Beasley — hung tough, though, and pulled to within 51-49 after a putback by Elizabeth Dixon with 10.3 seconds left. Cheiyanne Norton then hit 1 of 2 free throws and Breouanna Humphrey’s 3 at the buzzer was off the mark. 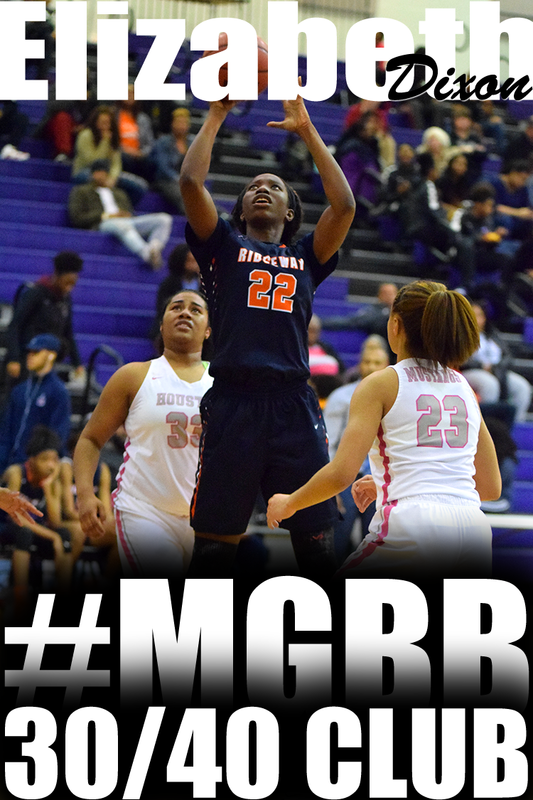 Branch added 11 for the Tigers while Eryn Foster scored 12 for Ridgeway, which ends the year with two straight losses after winning its first 28. At Overton, Charity Savage poured in 29 points to send the Panthers (21-10) to state for the first time since 2008. Bartlett will open against Murfreesboro Oakland on Wednesday at 11:30 a.m.
Few teams anywhere will enter the state tournament on as good a roll as Craigmont. The Chiefs will take a 15-game winning streak into Thursday’s 2:15 p.m. quarterfinal against McMinn Central. Daja Scurlock had 18 to lead the Chiefs (27-6). Kiara Caswell had 15 and Danielle Conley chipped in with 14. Ridgeway (49) — Brandi Beasley 20, Oreonna Brown 2, Alexus Bryson 2, Elizabeth Dixon 2, Eryn Foster 12, Breouanna Humphrey 9, Tierney Paylor 2. Arlington (52) — Raegyn Branch 11, Mirrakohl Johnson 9, Ashley Lee 2, Callie McMorran 6, Cheiyanne Norton 5, Tori Sewell 19. Records — Ridgeway 28-2, Arlington 26-9. 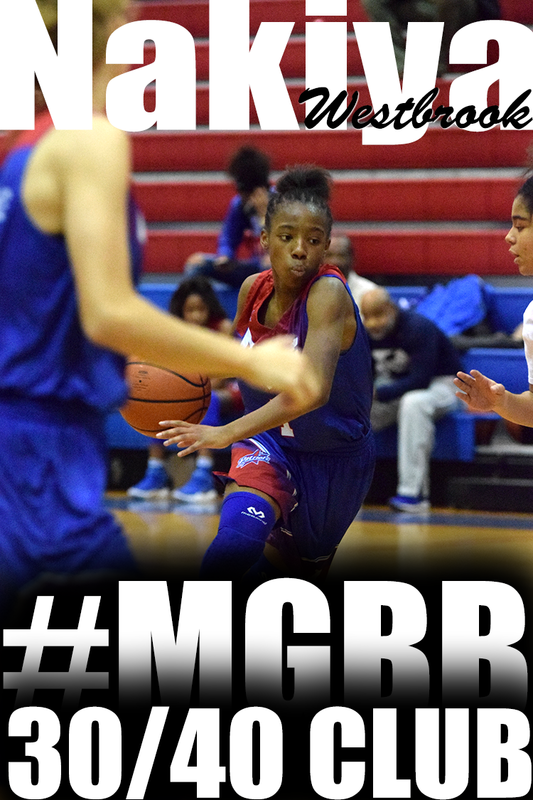 Bartlett (46) — Madelyn Anguiano 13, Ashley Payne 2, Charity Savage 29, Dee Dee Williams 2. 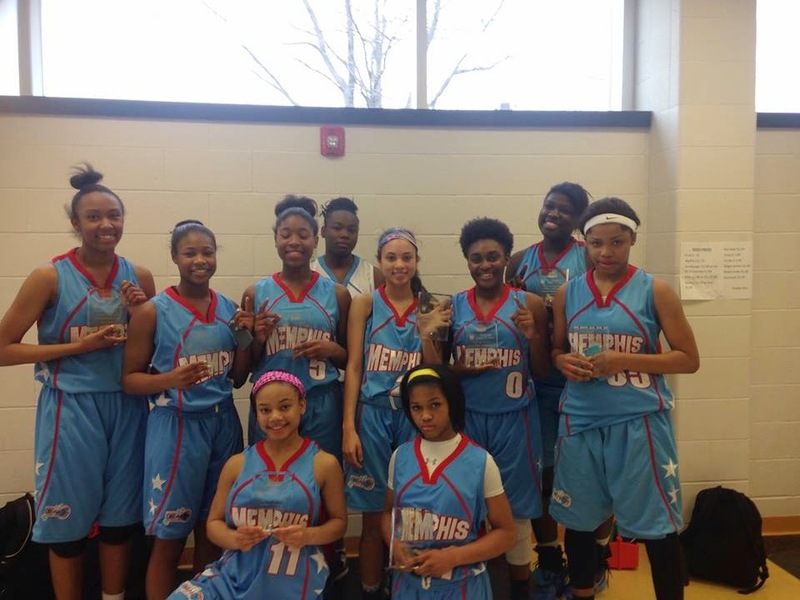 Overton (42) — Rodrea Echols 12, Marquesha Fennell 4, Kyla Green 6, Dontrecia Johnson 3, Jalisa Jones 8, Ciera Pettis 4, Kayla Williams 5. Records — Bartlett 21-10, Overton 24-5. Crockett Co. (55) — Hart 21, Pratt 9, K. Robertson 6, Patterson 16, Taylor 3. Craigmont (69) — Kiara Caswell 15, Danielle Conley 14, Keveana Fayne 6, Alexis McFarland 7, Morgan Morris 9, Daja Scurlock 18. Records — Crockett Co. 22-10, Craigmont 27-6. Don’t get him wrong; Micah Thomas has no intention of returning the Mr. Basketball trophy he won Saturday. But he knows there’s still work to do. The Briarcrest standout captured the award Saturday, finishing ahead of Ensworth’s Jordan Bone and Darius Garland of state champion Brentwood Academy. Despite battling a foot injury for a good portion of the season, the 6-7 junior averaged 14 points and four rebounds per game, while shooting 49 percent from the floor and 41 percent from 3-point range. His efforts helped Briarcrest to a 25-9 season that ended with a loss to Brentwood Academy in the semifinals. Thomas — who has offers from the University of Memphis and several other schools — is the third Briarcrest player to win Mr. Basketball. Leslie McDonald was the winner in 2008 and 2009 while U of M standout Austin Nichols was honored in 2012 and 2013. St. Mary’s senior Kaylan Pugh won the D2-A girls award, beating out last year’s winner Micah Sheetz of Knoxville Webb and University School of Jackson standout Anna Jones. A prolific scorer since her eighth-grade year, Pugh saved her best for last, averaging 29.2 points while shooting 70 percent from the floor. The 5-9 Ohio State signee also averaged six boards, three assists and four steals per contest. 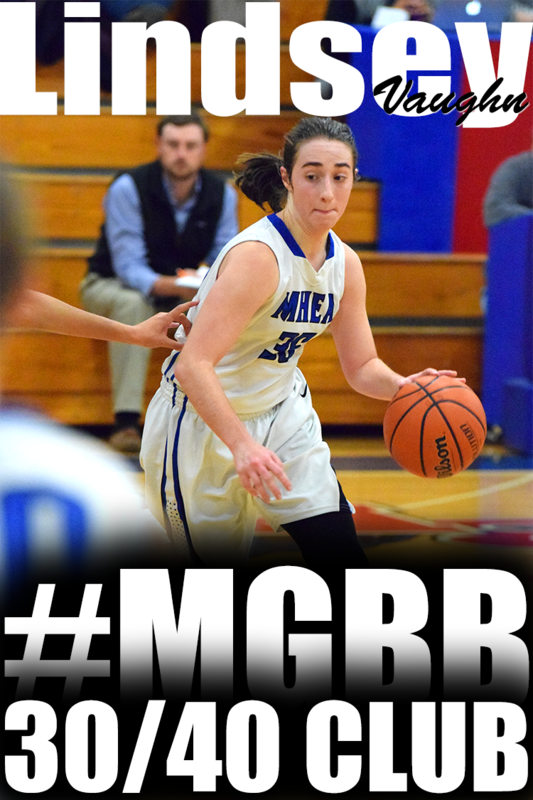 She leaves St. Mary’s with over 2,700 career points, a total that places her in the top 10 all-time in Shelby County. Pugh was unable to attend Saturday due to a family emergency, but Turkeys coach Emily Owens had plenty of praise for her star. Brentwood Academy's India Hall, center, grabs a rebound in front of Briarcrest Christian's Tatianna Love (10) and Morgan Hunt (30) in the first half of the Tennessee Division II AA girls high school basketball championship game Saturday, Feb. 28, 2015, in Nashville, Tenn.
Brentwood Academy took control of the game early and went on to defeat cold-shooting Briarcrest, 63-41 Saturday in the BlueCross Division 2-AA girls state championship game at Lipscomb University’s Allen Arena. The Eagles used a 10-0 run late in the first quarter to built a double-digit lead and extended their advantage to 32-16 at halftime. The Saints, meanwhile, were struggling from the field, shooting just 28 percent in the first two quarters. Brentwood Academy finishes 29-1 and will take a 27-game winning streak into next season. Briarcrest, which was making its fourth straight appearance in the final four, ends the year 23-7. Briarcrest (41) — Brynn Holden 10, Elise Holden 11, Morgan Hunt 2, Tatiana Love 4, Kathryn Newman 4, Savanna Owens 6, Alyiah Wells 4. Brentwood Aca. (63) — S. Harvey 17, C. Mallory 3, K. Stockhoff 6, M. Wilson 10, L. McAvoy 19, A. Billington 6, M. Bussard 2. Records — Briarcrest 22-7, Brentwood Aca. 29-1.